Robots, as we know them today, have come a long way. From totally autonomous cars to robots in hospitals and in the streets. In the next 10-15 years, we will probably wonder what we ever did without them as we do with smartphones and other publically accessible technology. The first-ever “robot” was not developed until the late 1960s. But the first mentions of a non-human entity that worked autonomously came in a stage play in 1921. 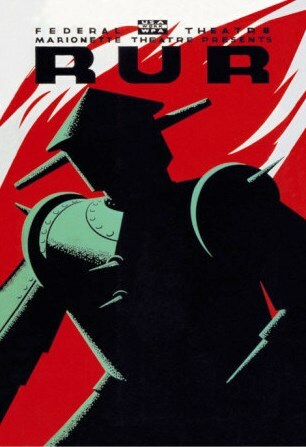 In former Czechoslovakia, within the capital city of Prague, the word “robot” was used in a play called R.U.R. (short for Rossum’s Universal Robots) written by Karel Capek. It is interesting to note that robots were a word used to refer to artificial humans made not from metal, but a chemical compound and given the shape of a human. These robots are strong and can perform the labour equivalent of two and a half men human workers. These robots are employed everywhere so that the human race is freed from work and can work on bettering themselves and their values. However, these robots soon realize that they have “no passion, no history, no soul” They realise that they are much stronger and much smarter than their human creators and thus end up destroying every human on the planet. All but one, only to set an example. 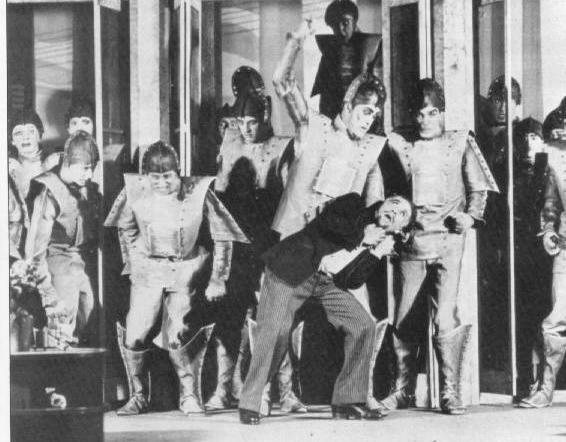 This play had ideas that Science-Fiction movies, series and games still copy to this day. But apart from the first mention of a robot, actual robots came some odd 40 years later. In the late 1960s and early 1970s, researchers in the Artificial Intelligence Centre at the Stanford Research Institute (currently known as Stanford Research International) developed the first robot as we know them today. 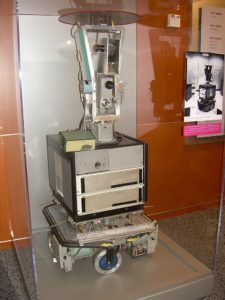 Although we do not really know much about Shakey since a lot of it is hidden in the Stanford Archives but we do know this robot fuelled the advancement of artificial intelligence and robotics. Shakey is the first known mobile robot that had artificial intelligence. It could think for itself and make decisions based on a pattern. The robot was a tall set, with an antenna for a radio link at the top to receive commands if required and send out data as well. The proximity sensors were age old sonar range locators similar to those that were used in big ships. It also had one of the first mobile cameras in the form of a large television camera for seeing what was ahead of it and relaying it to the researchers. It has bump detectors which was just a fancy word for a wire around its main body. The whole thing was driven by wheels. The main brains of Shakey was a SDs-940 with 64K 24 bit words of memory at the start of its life but then moved onto larger capacity in 1969. This capacity was a 192K 36bit word chip which is roughly equivalent to 1.3Mb. The artificial intelligence processing was done in QA3. The programming language used was FORTRAN and Lisp. Later in its life, the problem solving was done in STRIPS. The Unimate was created by American inventor George Devol. He filed a patent for this robot in 1954 but was later granted this patent in 1961. It is vastly accepted by many that the works of Joseph Engelberger heavily inspired and directly affected the development of the Unimate. Engelberger- also known as the father of robotics came to meet Devol at a party in 1956. 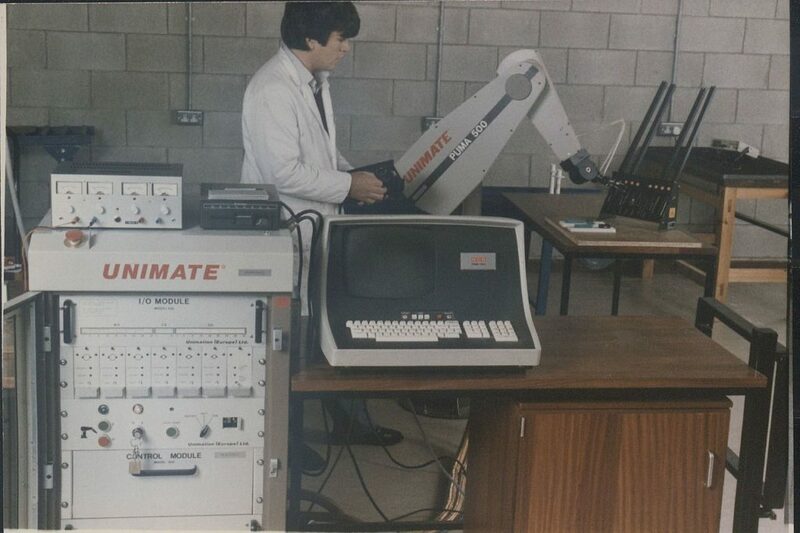 This meeting would birth one of the first industrial robots we know of today- the Unimate #001. Engelberger convinced Condec CEO to fund Devol’s invention. It took two years for Devol to work on this invention and perfect it into the Unimate #001. The Unimate was met with cautious suspicion at first but once it’s capabilities were seen at the General Motors factory; it quickly became popular. It was in 1959 when the first Unimate was installed in the General Motors assembly line but also at a die cast factory in Trenton, New Jersey. It is interesting to note that the Unimate gained more popularity in the die cast factory than in the General Motors assemble line since the robot could very easily handle hot substances and work environments without even a peep of complaining. Around 1961, the Unimates 1900 series was mass produced and 450 of them could be found busy mostly in die casting jobs. But from there the robots were quick to spread around the globe, partly in thanks to Engelberger’s efforts. He created Unimation Inc. to take care of the new world’s automation industry and from there he spread it around the globe. 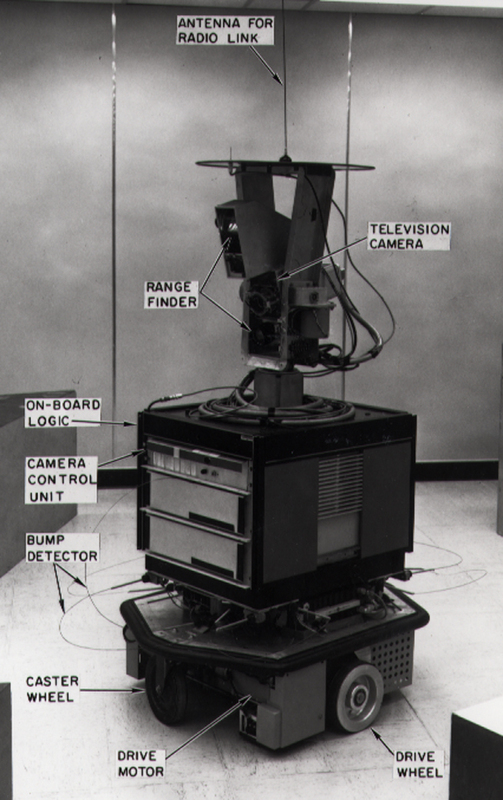 The Unimate had its television debut with Johnny Carson and blew audiences away with how adept the robot was. The robot opened up a beer, struck a golfball to its target and even conducted the shows band. After 1966, Engelberger contacted the telecommunation company, Nokia in Finland to further expand the Unimate across Europe. But it was really when Engelberger met with Japanese executives in Tokyo when the Unimate really wowed the world with its prowess. About 400 executives battled over the Unimate and it was in the end Kawasaki Heavy Industries who took the prize. Kawasaki then displayed the results of Unimates hard work to the world though their cars, motorcycles and the heavy machinery. Europe and Asia had been conquered by the Unimate and back home things were no different. General Motors had left all its competition behind in the dust with the sheer number of cars it was producing. The Unimate model was extended into the Unimate spot welding model and this increased the production upto 110 cars per hour. Other companies without robots were doing less than half of this amount. 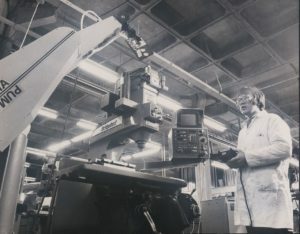 European manufacturers like BMW, Mercedes, Volvo and many other took heed from General Motors and were quick to install Unimate robots in their factories as well. The Unimate continued to spread to industries apart from car manufacture, specifically in locations that were dangerous for humans. The Unimate helped build the computerized world as we know it today! Check out some of our other robot articles from robots making ice cream to robots delivering snacks.